We Are Off To The Races With NetEnt's Scudamore's Super Stakes Slot! We Are Off To The Races With NetEnt’s Scudamore’s Super Stakes Slot! With the release of NetEnt's Scudamore's Super Stakes slot coming on 7th of March, it's time to dissect everything we know, including this handy YouTube video. NetEnt is getting their 2019 off to a strong start. First, we get the surprisingly good Turn Your Fortune slot. Then, we get Strolling Staxx on the 24th of January, and finally, we’ve got a good video of the Golden Grimoire slot coming on the 21st of February. We didn’t expect to get any more news for a while, but guess what? They are in a rush to be the number one game provider of the year, beating all the others in terms of excitement and anticipation. Well, they are certainly off to a strong start as we now know that their March release will be a huge branded slot game. 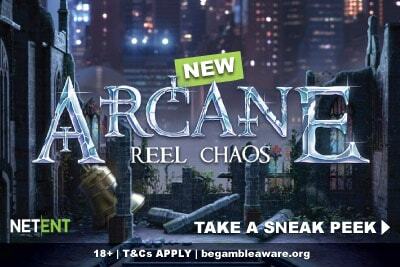 We know plenty, we even have a video with Peter Scudamore himself describing the slot as you play. Not bad NetEnt, not bad at all. 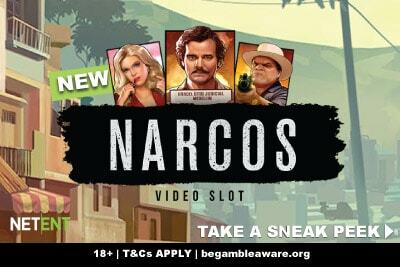 The first obvious thing to point out is that this the first NetEntentertainment branded sports slot. They’ve done one other before, the Football Champion Cup game, which was… OK. Not awesome, but ok.
That’s because most sports games tend to be a little generic unless you have a strong brand behind it. So Hockey Hero by Push Gaming was generic and boring, but the Mike Tyson Knockout game had a lot of character. It makes sense. People love sports, but it’s the team and the people behind the curtains that bring the sport they love alive. Who is Peter Scudamore and do we care? This is a horseracing slot game, so we are going to be blunt: it’s aimed primarily at getting UK gamblers excited. Horseracing is a big sport everywhere, but nowhere as big as in the UK. Next to Football and Tennis, it’s the third most popular sports bet by millions of punters in Great Britain. So who is Peter Scudamore? In short, he is a former trainer and jockey who was 8th champion back in the 80s and 90s. In short, if you are in Horse Racing, you’ll probably know the name, but if you only bet once or twice a year, maybe during Cheltenham or Ascot races… maybe not. NetEnt’s answer to the popular Franki Dettori slot? We have no way to prove this of course, but we suspect there might just be a correlation with the fact that one of Playtech’s most popular slots is their Frankie Dettori Magic Seven game. 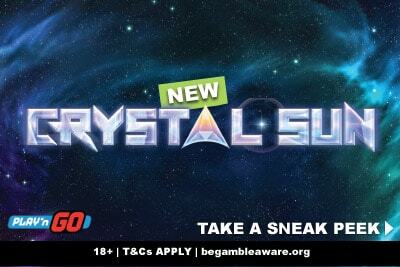 We are not saying that this new Scudmore slot is a copy in any way, we are just saying that it’s very likely that they were inspired to try and get those gamblers over to playing NetEnt games. The good news is that they might just do it. After all, if you didn’t see the video, there is a lot of compelling gameplay to unwrap. What is the Scudamore Super Stake game in essence? 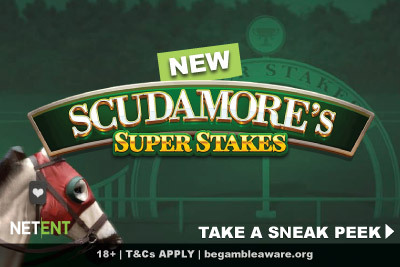 Scudamore Super Stakes is 5-reel, 3-row video slot with 20 bet lines, a wild symbol, a scatter, and three bonus feature. That’s the cliff note version, but the longer version is a little more complicated. That said, unlike games like the NetEnt Jumanji slot with its board game mechanics or the Vikings slot with its 78,125 ways to win. That’s the basics. But what does it all mean? Mostly because, unlike sports betting or horse racing where you can have a little knowledge behind your bet, this is still a slot machine. So totally random. And giving people additional betting options based on random luck can lead to beginners wasting a lot of your money on bets they can’t win. So, for example, you decide to gamble €$£8 to get 20 wilds in 20 spins, because you see you can win lots on those odds. But a more experienced gambler would know that this is an almost impossible bet, and set that to 10 wilds, for example. Still difficult, but with the random wild feature, a possibility. It’s not that these extra bets don’t have their use, but you need to know the paytable, and read our slot reviews here on our website, to figure out whether they are cost effective. Which most people don’t take the time to do, so end up wasting a lot of money. It may end up being a little dangerous for beginners, or it may be super clear about your odds of winning. The point is, this is just one of the features in this game, and to be honest, we are looking forward to trying the betting slips ourselves. We’ve been playing for years, and some side bets could add a little thrill to what could be just another 20 payline phone slot. The free spins are what looks really exciting, as you spin and watch a virtual race happen before your eyes, potentially winning you over 5,000 times your bet. We are not huge horseracing fans. But we are huge NetEnt fans. And considering how negative we were about Turn Your Fortune, we think they deserve the benefit of doubt with this huge branded slot from one of the biggest horseracing legends in UK racing.